Cliff House Holiday Park is located in Dunwich, Suffolk, a lovely seaside village close to the Coastal Towns of Southwold and Aldeburgh, it comprises array of luxury lodge holiday homes and static caravans some of which are for sale. We currently have new and pre-owned holiday lodges on superb pitches for sale which are available to view now and they may be seen by looking at the Lodge and Static sales pages. 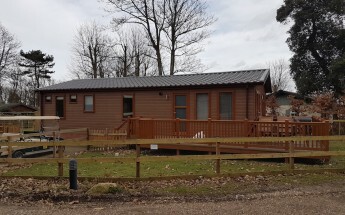 Our superior holiday home lodges measure up to 45ft x 22ft in size and comprise lounge/dining area, fitted kitchen, 2/ 3 bedrooms and bathroom/ shower rooms. They are all sited on superb plots. Every Cliff House plot has a garden and car parking with some having lovely views of woodland or the sea. Our Holiday Lodges are supplied with an industry beating 99 year licence with 10 1/2 months' occupancy each year. We're closed just 6 weeks in the year, during January and February. Our Park has a 5 star East Anglian Tourist Board rating and features a lovely bar and restaurant facility. Being on the beach with direct access makes Cliff House Holiday Park a superb place to spend your valuable leisure time. Please phone our sales team on 01728 648282 for pitch availability. 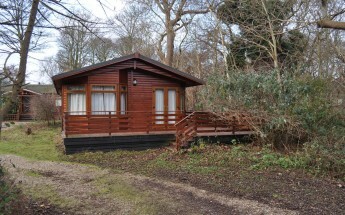 We always have new and used lodges and caravans for sale and we deal with all the major UK lodge manufacturers. That means you can order and customise a holiday home to your specification. We also sell brand new and pre-owned high quality Caravan Holiday Homes. These static holiday homes come double glazed, benefit from a fully fitted kitchen, central heating and are sited on superb plots on the park. If you want a static caravan to buy, please phone 01728 648282 for stock and pitch availability. Seeing is believing, so why not visit Cliff House soon. Find out how holiday home ownership can change your life. Please telephone the Office for further information on 01728 648282 or Steve on 07770 421222 if you would like to make an appointment or if you are passing please pop by so we can show you around.